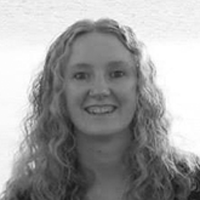 Sarah Calderbank is the Project Coordinator for DanceSyndrome’s Spirit of 2012 funded project. She has been involved with the charity since 2014, initially as a volunteer before being employed in 2015. 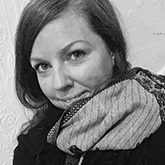 Sarah’s role involves promoting the charity and recruiting people to our workshops and training courses, as well as organising and attending performance at events. Here she writes about the importance of “Micro-volunteering” for small charities. Saturday 15th April was International Micro-volunteering Day. Despite it’s long and rather uninspiring name, when I discovered that #MicroDay was a real thing I actually got a bit excited! It was that feeling that you get when someone else loves your favourite song or when you get talking to someone who has read the book you are reading; I was excited to discover that not only does another person understand the importance of micro-volunteering, but it is so well celebrated that it has it’s own date on the calendar! For those not familiar with the concept, micro-volunteering is carrying out small, quick and easy tasks for a charity that benefits the charity’s cause. These little tasks can be done from home, from your office or while you’re on public transport, essentially whenever you have a spare minute. They are simple things like sharing posts on social media, forwarding emails about the charity or talking about the good work a charity does with colleagues, friends or the person sat next to you on a train! If you want more info and some useful links, the Guardian wrote a really useful article. As someone who works for a small local charity, I find these little acts incredibly valuable. One of the biggest challenges charities like DanceSyndrome face is getting the word out about what we do. I meet people all the time who say to me “What an amazing charity DanceSyndrome is…I can’t believe I haven’t heard of you before!” As a team we work incredibly hard on telling people about what we do; we go to many events and conferences, we attend networking sessions, we send out newsletters, we have a presence on no less than 7 different social media channels, the list is long, but we only have limited time and we can’t reach everyone, even in the relatively small area that we work in. This is where micro-volunteering comes in. You might think it is insignificant to share a Facebook post or retweet on twitter, but that small act potentially offers us a new audience who haven’t heard of us before. 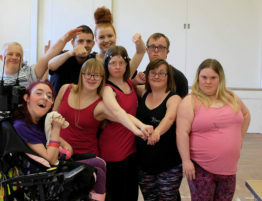 Any one of your social media contacts might, unbeknown to you, be looking for a dance workshop, thinking about organising a fundraising event or simply be inspired to see that people with learning disabilities are out there challenging perceptions and encouraging others to follow their dreams. Your act of sharing a Facebook post could put us in touch with someone whose business is looking for a charity of the year to support or could inspire someone to make a small donation to our annual appeal. Clicking “interested” on a Facebook event could attract many more people to attend our events. Social media works very much like a snowball rolling downhill, the more people show an interest and interact with us, the greater our following becomes and the eaiser it is for us to get the word out about what we do. 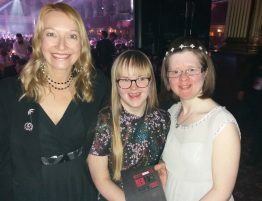 This is why if you see DanceSyndrome at an event I will more than likely be running round taking photos and videos rather than joining in with the dancing – sharing those images has a great impact for us and is the perfect way of demonstrating what we do. Plus, I have two left feet! There is another reason to get involved too. Micro-volunteering doesn’t just benefit the charity. 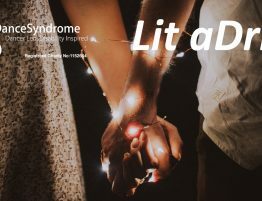 My own role with DanceSyndrome started as a result of micro-volunteering; sharing Facebook posts led to volunteering to design flyers, which lead to me being recruited as Business Development and Administration Executive – not just paid employment, but a fulfilling role that I genuinely love to do and take great pride in! 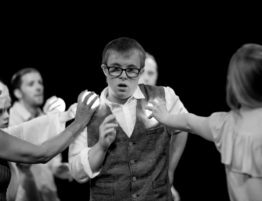 Many of our volunteers have gone on to paid employment directly related to their volunteering, either with DanceSyndrome or with other organisations. 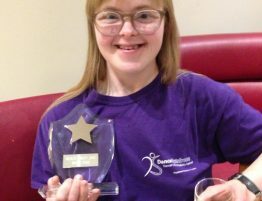 Of course, DanceSyndrome as a charity thrives when people volunteer, whether as a fundraising event organiser, as a runner in a charity race, as a photographer, a videographer, a workshop helper or a micro-volunteer who does the little bits that they can. All of these acts help the charity to grow and progress and become more well known. Volunteers enable us to help people to follow their dreams, make friends, become more visible citizens and to lead healthy, active and worthwhile lives. I guess what I am trying to say is never underestimate the impact of small acts of volunteering, they are fundamental to the bigger picture for a charity like DanceSyndrome!